The Denver Broncos and the Seattle Seahawks both entered the playoffs as number one seeds and had exactly the same wins/losses record, so predicting a Super Bowl winner might require a crystal ball. However, since, Seattle is better at home and Peyton Manning's already won a Super Bowl, Intertops Sportsbook oddsmakers are giving the Broncs a slight advantage. If you're like me and don't have psychic powers have a look at some of the other Super Bowl odds and props listed at the world's first online sportsbook. Intertops says they're getting a lot of action on their MVP bets. They're even taking bets on who the MVP will thank first! Peyton Manning (+100) leads the MVP odds list, followed by Russell Wilson (+350) and Marshawn Lynch (+500). Oddsmakers expect him to thank one or all of his teammates first (+275), if not then either God (+350) or nobody at all (+350). 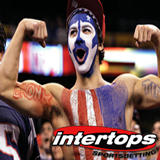 Intertops Sportsbook has rolled out some generous special offers for Super Bowl XLVIII: a $100 Free Bet and a $100 Bonus. A 20% up to $100 Super Bowl Deposit Bonus will be added to all deposits made between now and kick-off February 2nd. And everyone wagering $1,000 on Super Bowl bet offers before January 29th can claim a $100 Postseason Free Bet on January 30th.